UK websites are sought after the world over and accessing UK sites even more so, from such a tiny nation we have travelled the world physically in history and more recently via the digital highways that make the Internet. 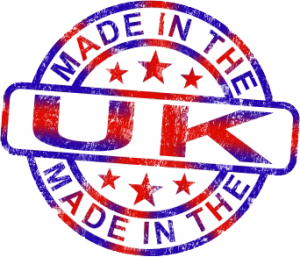 UK specific websites target not only users in the United Kingdom but also the global online audience. The popularity of websites ending in .co.uk may be underestimated due to their localised sounding domain name but by facts alone Wikipedia reported that as of March 2012 it is the forth most popular top level domain only surpassed by .com, .de and .net. While a tiny island nation may by small by physical borders the fact that as of November 2013 there are over 10.5 million .co.uk domains registered with over 100,000 new registrations per month only goes to reaffirm how popular not only UK domains are but UK sites too. I know what many people are thinking, why do we need an article on how to access UK sites from abroad? If you’re abroad or outside the UK you just load up your web browser, tap in the .co.uk website and access it! Well in essence that is totally correct but where it becomes imperative for those who have hunted out this article is not all sites are accessible from outside the UK. As the internet has exploded the opportunity to offer region restricted (aka geo-restricted) content has become a popular practise. Many companies have agreements only to distribute content in certain territories and from a legal perspective they restrict content to adhere to such agreements. There are however other sites that restrict content because they are rolling out new services on a staggered basis and don’t wish to enter new territories just yet playing a slow expansion game meaning those services might not be currently available outside the UK and so they restrict access. Another angle is many UK websites offers services that are specific to UK users or those that understand the idiosyncrasies of being British and as such feel that those services wouldn’t appeal or be required to those outside the UK, again these are restricted. A final situation is possible in the fact that a website just doesn’t want to offer access outside the UK for whatever reason and to reduce outside visitors wasting bandwidth of the site or accessing a site that isn’t intended for them then they restrict access. The range of sites that are restricted is far and wide, too many to list in such a small article. The majority of sites that are restricted usually include content streaming be it TV sites such as BBC iPlayer or ITV Player to movie sites such as Netflix and even online music services like iTunes and Spotify find themselves restricted to region. In the case of TV services these sites are restricted to UK viewers due to broadcasting rights and also because it would be costly to offer these online streaming services abroad. Subscription type movie or music sites such as Netflix and Spotify are restricted by region due to being available in other territories and wanting to keep the UK specific service restricted to UK users only. For example the US version of Netflix offers a much larger array of movies than the UK version and while Netflix continue to roll out across the world with the recent expansion in to France and Germany they wish to keep each individual country penned in to their own region specific site. When abroad either on holiday, vacation, business or even if you’re not a UK citizen who wants to access UK sites your access to whatever site you’re restricted on is based around your internet connection. Each internet connection is assigned an IP address which is similar to a phone number. From this information a website can determine the country of location you’re from (just take a look over to the right panel of our website and you’ll see the type of information that is available to all sites about you) and with this it is possible to block or restrict your access, it’s even possible to serve you up a more localised version of a site which is why when you’re outside the UK you might sometimes find you’re given a version of a website in a language local to the country you’re in. So to access websites and services you need to make use of a service that can alter your IP address and ultimately give the impression that you’re in another location, for this situation the United Kingdom. The best way to do this is to use a service known as a Virtual Private Network or by it’s abbreviation, VPN. A VPN is a way of connecting to a server in the country of your choice which not only encrypts your connection but also allows you to appear as if you’re in the country that you’re connecting to. Once you’ve connected to a UK server all of your data is encrypted to the server and then passed on to the internet meaning that any site or service you access sees that you’re in the UK even though you could be in Europe, America, Asia or anywhere else in the world. However there are plenty of other good providers listed in our comparison guide so have a look around and find the most suitable for yourself. A good VPN provider should cost no more than US$10 per month which is roughly £6.20 with many available cheaper by taking longer service lengths. Once you’ve signed up you’ll be provided with software that helps you make easy connection with just a few simple clicks and then you can access UK websites as if you were in the UK itself no matter where you are in the world. When you’ve finished you simply disconnect and you’re back to your standard connection. There are no further charges and you can stay connected for as long as you need.